France’s Sebastien Loeb is Top Qualifier after the opening day of action at Hockenheim in Germany, round three of the FIA World Rallycross Championship. Sweden’s Johan Kristoffersson was second in Q1 and third in Q2, to be second in the Intermediate Classification, but his PSRX Volkswagen Sweden team mate, Petter Solberg, had a challenging day. 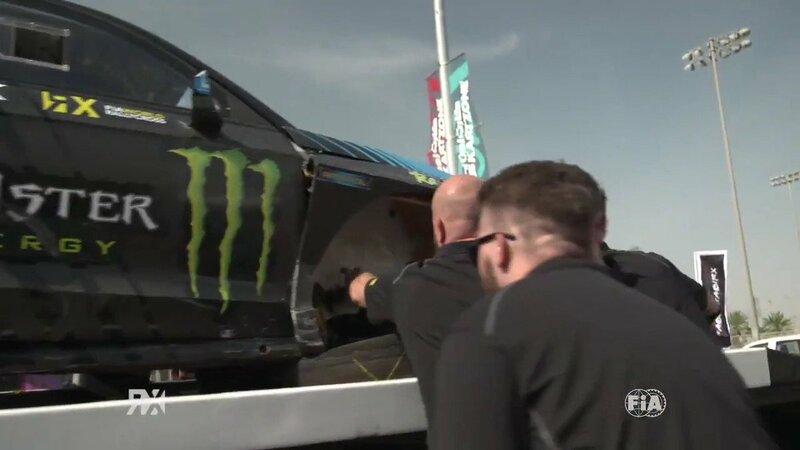 After being eighth fastest in Q1, Andreas Bakkerud and Solberg had contact in the first corner of their Q2 race causing significant damage to both cars. Both finished, but were 21st and 22nd in Q2 and are both outside the semi-final qualifying positions before Q3 and Q4 tomorrow afternoon. Russia’s Timur Timerzyanov beat World RX Champion Mattias Ekstrom in Q2 and is fifth in the Intermediate Classification with MJP Racing Team Austria’s Timo Scheider sixth, America’s Ken Block seventh - thanks to fourth fastest time in Q2 - and Latvia’s Reinis Nitiss one place ahead of EKS owner Ekstrom, in eighth. Sweden’s Kevin Eriksson, France’s Jean-Baptiste Dubourg and Latvia’s Janis Baumanis complete the list of drivers inside the top twelve. Find the full Hockenheim RX results here.